Benediction Books. Hardcover. 1849026378 Meets or exceeds the good condition guidelines. Nice copy. Has some crinkling and staining. Five star seller - Buy with confidence! . Good. New York: Dover Pubns, 1967. Reprint. Paperback. Near Fine. New York: Dover Pubns, 1967. clv,377p. 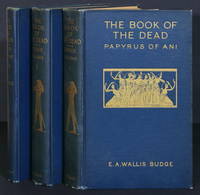 Reprint of the original edition published in 1895.. Reprint. Trade Paperback. Near Fine. 8vo - over 7¾" - 9¾" tall. Citadel, 1983-09. Reissue. Paperback. Very Good.